The response to my opening post in this series has been excellent, and I thank everyone who took the time to comment. I am very encouraged, and I hope that this exchange of information continues. Several of you took some time to offer detailed observations, and I will be getting to at least some of them, because they make good points. But I want to begin with a more general comment I received, because it echoes the basic theme of my whole approach to urban revival. It reflects just what Phoenixville’s revival is all about, and the great contrast with what is happening to Conshohocken. To me, that pretty much says it all. First and foremost, the walking part; a livable town is a walkable town. The automobile only pits residents against one another, over everything from safety priorities to “owning” a shoveled parking space. 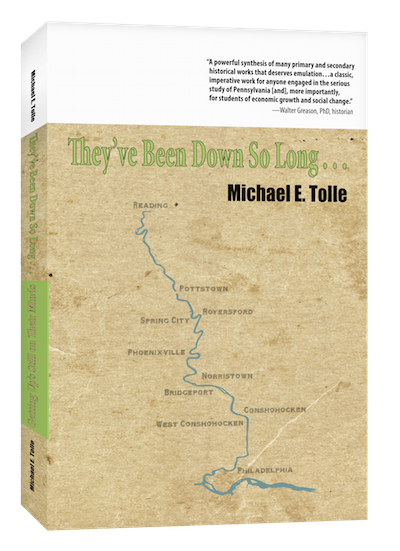 Second, Phoenixville possesses “a downtown to go to.” How many other towns on the Schuylkill River can make that statement? Okay, Norristown’s West Marshall Street, but isn’t that pretty much about it? That downtown also isn’t just Starbucks or wine bars; the Farmers Market is a community destination, as is the Colonial Theater, and there are more. Third, the opportunity to “greet/meet neighbors along the way” may be the most important component of all. That comes from walking, of course, not driving, but it also speaks to the type of people who live there; those who experience the community from outside, not isolated in some new high-rise apartment. This comment excellently summed up how Phoenixville is conducting its ascent, and the type of people it attracts as new residents. This couple came, liked what they saw, and decided to not just stay, but contribute to what was happening, even if just by walking downtown (and actually talking to people!). But why was what they liked there at all? As a historian, I believe we must begin by giving credit to where credit is due, and some of that goes back a long way. Phoenixville has the best-preserved “Main Street” (it’s Bridge Street in Phoenixville) of all the towns on the lower Schuylkill River. Many great buildings were lost, but others survived, enough to anchor a modern revival of an old time downtown. The importance of historic preservation cannot be overstated. 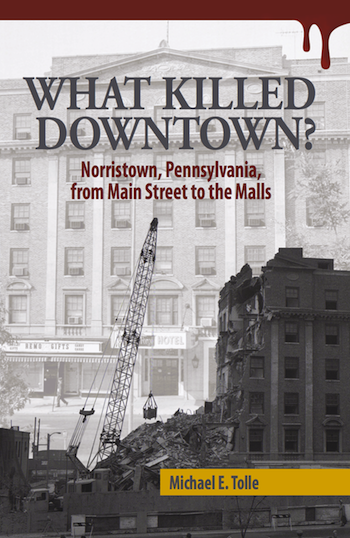 A Phoenixville that had to rebuild all of Bridge Street would not have become the Phoenixville of today. Those old buildings are a legacy that far exceeds their property value. Thus, when we are apportioning credit, we must make sure to look far enough back to acknowledge those who contributed to this. I suspect there are many names, both of individuals and of companies. Still, a town’s revival isn’t just a matter of having old buildings on an even older street. The physical components were present in Phoenixville, but the purposes they were put to made all the difference. Phoenixville’s nightlife gets most of the ink, and those old buildings are great settings for just that, but I suspect that the writer of the comment I am referencing and her husband are not in the age demographic that is found in those places on Friday and Saturday evenings. People who come into town to party make a town “trendy,” stimulate business and certainly make a contribution. But it is the people who live in the town, who pay taxes and vote, who are the backbone of the sense of community that has arisen. People are attracted to small towns for different reasons, of course. In my previous blog series on what is happening to the Conshohockens, I predicted that a great many of the people who will move there will do so primarily because the location offers quick access to two Interstate highways. They may choose Conshohocken over similar locations because of the area’s great natural beauty, but that will be the clincher, not the motivation. I also questioned how many will actually take a sufficient interest in their new home town to get involved, and whether their primary interests might conflict with those of the existing residents uphill. My concern is about Conshohocken’s future as a community, not just valuable real estate. Nobody is moving to Phoenixville for its great access to Interstate highways. They aren’t very far away, but rush hour traffic on the local roads from Phoenixville to them makes the journey take rather long. People who move to Phoenixville are attracted by what the town itself has to offer. Of course location counts; Phoenixville’s surroundings are rich in history and culture, and there is no point in making a distinction between the Borough and its adjacent townships in that regard. I would argue strongly that what Phoenixville has to offer begins with “walkable streets and a downtown to go to.” Without those two, a town’s revival may be measured in economic terms, but not in those things that really go into making a town a community. That’s the beginning, the basic requirements. But they aren’t enough by themselves, and piecing together the story behind Phoenixville’s revival will require the addition of several more components. That’s why I repeat my call for contributions, because there is a lot more to be said. 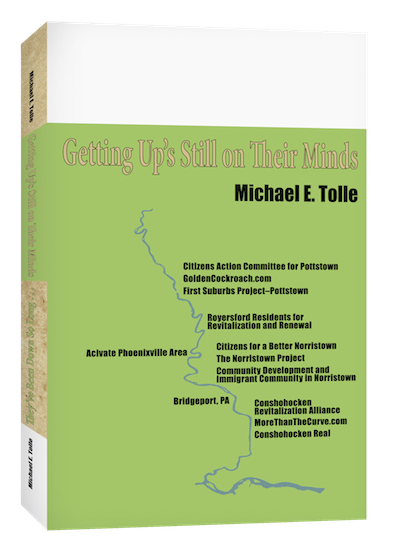 I plan to say more, but as always, I take my inspiration from what people in the Schuylkill Valley say and do, and the many people responsible for Phoenixville’s revival each know more than I do. A historian cannot make bricks without straw, and that straw must come from the knowledgeable, as many of them as possible. Several of the comments I have received speak of Phoenixville’s “air,” its “DNA,” and its sense of “tolerance and inclusion.” Some attribute this to religion, but more often to traditions left from when Phoenixville was a “company town.” These are subjects I want to address, so if you have thoughts on this, let me know soon. I would like to consider them before I write about the subjects themselves.